Carl Bloice, a brilliant journalist, political theorist, and teacher who inspired and mentored generations of activists in the U.S. and around the world for more than five decades, died in San Francisco April 12 after a long battle with cancer. He was 75. From a courageous stint as what is believed to be the first Northern reporter to cover the 1960s Civil Rights movement in the South to editing the West Coast People's World newspaper to his years as the People's Daily World Moscow correspondent during the turbulent final five years of the Soviet Union to stinging commentary as a prominent blogger for left and African American publications, Bloice paved one groundbreaking path after another. "Carl taught me to be a journalist, that journalism mattered, and that it was the thing that saved us from the humiliation of silence in the face of injustice. His absence creates a vacuum in our world–and my world– that simply cannot be filled," said longtime University of California Santa Cruz journalism professor Conn Hallinan, who was with Bloice first in the San Francisco civil rights movement and anti-Vietnam war movement at the University of California, Berkeley, and later at the People's World. "Brother Carl was a fighter for working people and his writing could be described as advocacy journalism with barbs," said Peter Gamble, publisher of BlackCommentator.com on whose editorial board Bloice served. "He was a loyal friend to those who had the fortune to know him. We will miss Carl very much, but his soul will live on in our hearts and provide some of the energy needed to continue the struggle." Longtime San Francisco peace, labor and community activist Giuliana Milanese, one of Bloice's oldest and closest friends, recalled him as "a reflective comrade, unfailing in his commitment to justice, and his steadfast vision, not based on leaders who come and go but on ideas that create change. Carl never gave up the fight for a better world." Bloice was born January 28, 1939 in Riverside, Ca. As a teenager, living in South Central Los Angeles, he began his own political activism early in civil rights activities as a member of the Liberal Religious Youth, the Unitarian Universalists' youth organization, in Los Angeles. For a time, Bloice planned a life in the ministry of the Unitarian Church. But his activism and work with others in the burgeoning civil rights movement led him in another direction. By the age of 20, Bloice had joined the U.S. Communist Party. This was a time, noted the late Franklin Alexander, one of Bloice's early friends, and fellow young African American CP recruit, that it was hard to get in the door with many leaving in the wake of the Red Scare, anti-Communist repression in the U.S., and the post-Stalin revelations in the Soviet Union. By the early 1960s, Bloice, then a poet and prose writer, moved to the San Francisco Bay Area. There he joined the staff of the People's World, beginning a three-decade association that would establish him firmly as a rare journalist who influenced readers and activists around the world. "I remember going to meetings in L.A. where there was an FBI car parked outside, and agents taking down the license number of every car in the block," Bloice would later tell the San Francisco Chronicle. "Members were kept under surveillance, and people victimized just because they bought this newspaper." Though affiliated with the CP, the People's World had achieved a broad renown as a voice of the progressive and working class left from its early days as the Western Worker, when it was a leading chronicler of the 1934 San Francisco General Strike, the struggles of West Coast longshore workers and other unions, and the infamous Zoot Suit attacks on Latino youth by off-duty while sailors and Marines in Los Angeles in 1943. Under Bloice, first as a staff writer, then editorial board member, then editor, that tradition continued. By the 1980s, Bloice would happily display a plaque, the Toronto Globe and Mail would note, from the City of Berkeley in his then Berkeley office at the old Finn Hall recognizing his achievements in "profoundly partisan journalism." In 1962, Bloice with others founded the first chapter of the W.E.B. Du Bois Clubs, a multi-racial, national youth organization, named for the legendary NAACP co-founder, journalist, author and educator. In San Francisco, the DuBois Clubs gained quick notice for leading desegregation fights targeting drive-in restaurant chains, the San Francisco hotel industry and automobile sales rooms that systematically discriminated against African-Americans in hiring. Bloice was also the group's publications editor. During that time, the Los Angeles Times cited Bloice as a leader of the University of California Berkeley's Free Student Union and Vietnam Day Committee, successors to the UC Berkeley Free Speech Movement, along with other prominent free speech and anti-Vietnam war activists, including later Yippee prankster Jerry Rubin, Conn Hallinan, Robert Scheer, who went on to become a well known journalist, and many others. In the early 1960s, Bloice was also on the ground in the South reporting the upheaval of the Civil Rights freedom movement. On the night of May 11, 1963, he was in the A.G. Gaston Motel in Birmingham, Al. when it was bombed by the Ku Klux Klan in an attempt to murder Rev. Martin Luther King Jr. and other Civil Rights leaders. In 1966, Carl was the campaign manager for Robert Scheer when he challenged a liberal democrat, who supported the war in Vietnam, in the Democratic primary. Scheer received 45% of the vote and the campaign laid a foundation for the later anti-war campaigns for Eugene McCarthy and Robert Kennedy. In 1972, while editor of the People's World, Bloice testified in defense of Angela Davis, the internationally famed African American leader and educator. Davis had been falsely charged in the fatal shooting of a Marin County judge. She was acquitted in a high profile trial. 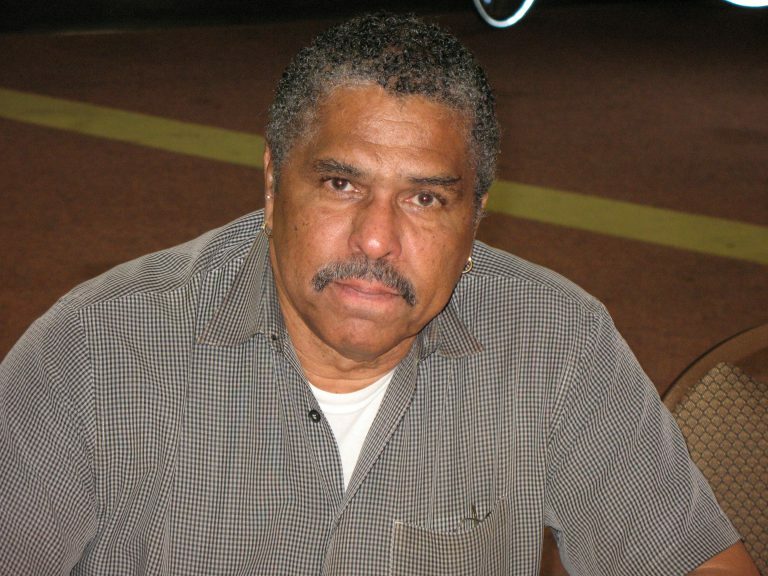 Jonathan Jackson, younger brother of George Jackson, one of the Soledad Brothers prison rights activists, was killed in a shoot-out at the courthouse. Bloice testified that Davis was with him in the People's World offices working on a series of articles about the Soledad Brothers at the time she was accused of assisting Jonathan Jackson. In 1972, Bloice also began a two-year special assignment for the People's World and the New York-based Daily World in Washington, DC, to report on the Watergate scandal, covering not only the break-in, but the full panoply of Nixon administration spying, FBI spying on anti-war protesters and African American activists, and other illegal actions that ultimately led to the impeachment proceedings and resignation of President Nixon. After returning to the Bay Area, Bloice played a leading role in the Chicago founding of both the National Alliance Against Racist and Political Repression (NAARPR), an organization created to defend first Angela Davis and then other political prisoners and activists, and the National Anti-Imperialist Movement in Solidarity with African Liberation (NAIMSAL). During these years, Bloice served on the Central Committee of the CPUSA and its parallel board for California, often serving as a representative to international solidarity meetings. In 1986, he participated in the merger of the People's World with the Daily World, creating the new People's Weekly World. Bloice had a special assignment, serving as the paper's correspondent in Moscow for the next five years, a first-hand witness and chronicler of changes unleashed by Soviet leader Mikhail Gorbachev's perestroika and glasnost policies. Bloice reported not just from Moscow, but also from Central Asian and Trans-Caucus Soviet republics, North Korea, Mongolia, and Eastern Europe. The 1991 collapse of the USSR coincided with upheaval in the CPUSA that had been bubbling up for several years. Bloice was one of more than 1,200 signers of an "Initiative to Unite and Renew the Party" which called for more internal democracy, greater solidarity with women's, gay rights, environmental, and other progressive movements, as well as more support for national liberation struggles. At a fractious 1991 CPUSA convention in Cleveland, old line CP leaders, led by Party chairman Gus Hall, refused to seat many initiative signers and removed Bloice, Angela Davis, historian Herbert Aptheker, and many others from all leadership positions. Bloice and other editorial staff of the paper were fired. Bloice and the others started a new national organization, the Committees of Correspondence for Democracy and Socialism, which united former members of the CP with activists from a number of other left and progressive groups. Bloice remained one of three co-chairs of the organization until the time of his death. After several years in New York, including work in a city hospital and for a local union, Bloice returned to San Francisco where he worked for a decade for the California Nurses Association in the Communications Department and edited its magazine until his retirement in 2005. Upon his retirement, CNA Executive Director RoseAnn DeMoro noted that Bloice was widely "respected as a working class intellectual, a sophisticated thinker adept at translating complex, often obtuse concepts into plain language. And he was much appreciated for his crusading spirit, his enduring zeal for establishing a more humane, just health care system and his humor." This week DeMoro recalled that Bloice "was a lovable man who loomed very large in the lives of those whom he touched, which were many. Profound grace, Carl Bloice." Retirement did not mean inactivity for Bloice. He continued his work as a prolific writer on national and international politics, culture, African American and retirement security issues, and sports. He helped launch a progressive internet news service, called Portside, which today, in its 14th year, has thousands of daily readers and subscribers. Bloice served as one of the Portside moderators, continuing to post the weekly REWIND feature and other items through the week of his death. Bloice served on the editorial board of The Black Commentator and was a regular columnist for Foreign Policy in Focus. Writings by Bloice also appeared in Common Dreams, Truthout, LA Progressive, ZNet, and Dollars and Sense. He had a regular blog titled "Left Margin." A frequent target of his pointed commentary was repeated threats to cut Social Security and Medicare. One 2012 column, titled "And Now the Catfood Party," speared the Washington proponents of the Simpson-Bowles budget cutting commission, labeled by critics as the "Catfood Commission," as Bloice noted "an allusion to the really existing seniors who have resorted to eating pet food when their meager incomes have run out." "Some on the Left," Bloice wrote, "have taken to saying the U.S. has become a `Third World' country. Sounds catchy, but it's way off the mark. If the country were really impoverished, there would be some legitimacy to the idea that we really couldn't afford to properly meet the needs the elderly, people with disabilities and the poor. Yet, ours remains the richest, most powerful nation on the planet, one that spends trillions of dollars on foreign wars and maintains an upper crust that consumes variously and ostentatiously. It's all a matter of equities and priorities." Bloice's work did not stop at the keyboard. He was a regular participant in the annual Center for Global Justice conference, held in San Miguel de Allende, Mexico. At home, he was an active member of the Senior Action Network, a progressive San Francisco-based senior organization, taught classes on political economy, foreign and domestic politics, and mentored a new generation of activists. Carl Bloice was married to fellow activist Karen Werner, a San Francisco union and political activist who died in 1985. He left behind thousands of friends and admirers around the world.